As I began reading Michael’s manuscript of this recently printed book, I knew that I was going to devote considerable attention to encouraging its reading. Michael is a humble man, and I suspect he will be hesitant to promote his book as intensely as others will, not wanting to be seen as a self-promoter. However, the subject is too important and the book too outstanding not to have it promoted broadly. 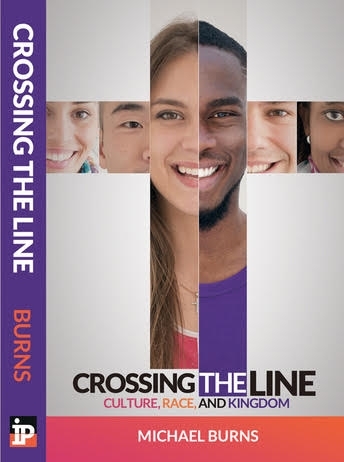 Introduction: The Introduction explains why it is so necessary for a diverse family of churches like our own to have an honest and in-depth look at topics such as culture and race. Ignoring the need for such work is like refusing to talk about or work on your marriage with your spouse simply because you’re already married. Chapter 1 – Losing Race – The concept of race is a secular idea, not a biblical one. It was rooted in faulty science that caused a great deal of damage throughout recent world history. In fact, the Bible’s teaching that all humans were made in the image of God and come from a common ancestor has now been confirmed to have been right all along. Chapter 2 – Two Sides of a Coin – We all have different perspectives and experiences when it comes to how we perceive history and view how we got to where we are as a nation. As disciples, we must understand that process and the differing perspectives of others so that we can begin to more fully understand the times in which we live. Chapter 3 – The Chaos Creature – The racial and cultural divisions that are so prevalent in our world today are nothing new. Humanity has been finding ways to rebel against God and divide among themselves since the Garden of Eden. We must know this reality, however, so that we can properly identify what lies beneath the things that divide us. Chapter 4 – Dual Wisdom – An even bigger threat to the church today than division itself is thinking that worldly wisdom offers solutions to the problems that ail our world. It is vital that we understand the difference between secular and biblical wisdom so that we can reject the former and embrace the latter. Chapter 5 – Jesus and Phinehas – The Bible has often been used as a tool to further racial and ethnic division and oppression over the last several hundred years. We need to know what the Bible really says and what it doesn’t say as a way to help unseat hundreds of years of abuse and misteaching. Chapter 6 – The Beautiful Revolution – The kingdom of God is revolutionary when we really understand what it is all about. To grasp the earth-shattering truths of God’s kingdom is to recognize that an entirely new reality and way of living burst forth into the world when Jesus stepped out of his grave. Chapter 7 – The Promised Family – God gave Abraham one of the craziest promises in all history: that he would one day have a family of descendants that would consist of all nations. In Christ, we are the fulfillment of that promise. Within the beautiful truth of being the family of God, though, lies a monumental challenge to our identity. Chapter 8 – More Disciple than White – When we enter God’s family, it must change everything about our lives and how we view the world, including our identity. Wrestling with our true identity and what that means when it comes to ethnicity and race is one of the most important aspects of being a disciple. Chapter 9 – Troubled Waters – Yes, we have racial and cultural struggles in the family of God. Cheer up. So did the New Testament church. In fact, race, ethnicity, and culture were the biggest sources of tension and conflict for our first century brothers and sisters, but they never backed away from those issues and neither should we. Chapter 10 – Choose from Among You: Validation – In the earliest days of the church, it was nearly brought to a halt by ethnic strife and infighting between different cultures. The lessons that they learned and the manner in which they applied the gospel to their situations is inspiring and informative. Chapter 11 – I Opposed Him to His Face: Confrontation – The churches in Galatia faced some of the fiercest challenges to their unity in the first century. Ethnic and cultural tension threatened to rip the church in half. Paul’s bold and courageous stand against the forces that would divide can help guide us through the turmoil of our present-day situations. Chapter 12 – For the Glory of God: Sacrifice – As the gospel spread throughout the world and the family of God expanded into increasingly diverse places, the people of God faced ongoing opportunities to either divide or declare the heart of the gospel message of one family of all nations. Conflicts in Acts and Corinthians provide us a window into how they braved the trials that they faced in the early church. Chapter 13 – Accept One Another: True Diversity – The church in Rome was yet another place that faced the stiff test of cultural and ethnic skirmishes. Once again, the unity of the church was in peril and Paul wrote his magnum opus to guide the church through those trying times. His words for them are just as relevant for us today as they were for the first-century church in Rome. Chapter 14 – The Way of the Cross: Self Sacrifice – The way of the kingdom has never been about ease, comfort, or pretending that everything is okay. It has always entailed sacrifice for the benefit of others. A people who embrace that way of life is a community that will deeply challenge and profoundly impact the culture around them, even when it is embroiled in racial and cultural strife. Chapter 15 – Culture Clash – What really has the potential to divide the church in the modern context is cultural clashes, poor cross-cultural skills, cultural dominance, and lack of true cultural inclusion. These are the things that we must become proficient in if we are to be who God desires for us to be as his family of all nations. Chapter 16 – Pliable Culture – Paul taught the early church how to bend and adapt their cultures so that the kingdom could be constantly advanced. At the same time, he taught them to deeply appreciate and respect the cultural expressions of all people, and guided the church in how to include everyone’s cultural backgrounds and expressions into the life of a unified church. Chapter 17 – Forging Ahead – Where do we go? What do we do with the information in this book? We examine how we can stand out among the nations as something unique and beautiful: A church that is inclusive, diverse racially and culturally, and that thrives on reflecting the truth of the gospel to the whole world.